It may be strange to think of horror movies as patriotic. It’s a worldwide genre, for one, and the average Friday the 13th and Saw sequels don’t exactly reek of civic pride. But as with every other holiday, horror always comes through with a cash-in. Ironically, though, there are very few (if any) straightforward slashers to capitalize on the national holiday. The era of New Year’s Evil, My Bloody Valentine and Happy Birthday to Me seemed to have missed that one during the first heyday of Calendar date horror movies. 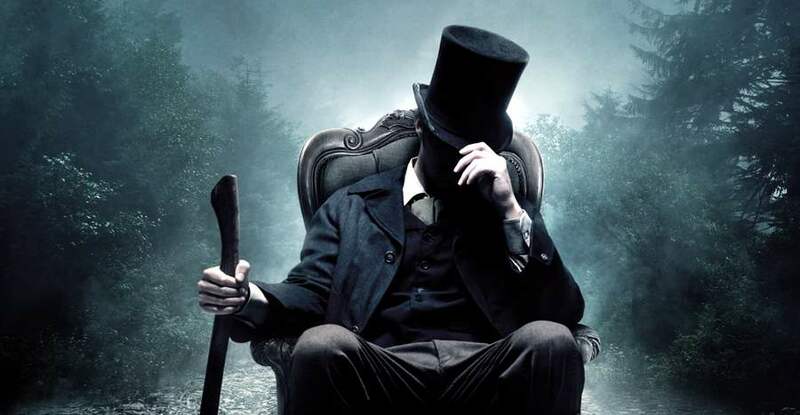 The problem with Abraham Lincoln, Vampire Hunter is that the filmmakers decided to take the material seriously. This was a huge mistake. But that doesn’t mean that you have to take it seriously. In fact, I highly recommend that you don’t. It’s harder to get more patriotic with your horror than the secret revelation that the nation’s sixteenth president hunted the undead in his spare time. The concept itself is absurd, so I think it should be watched as such. 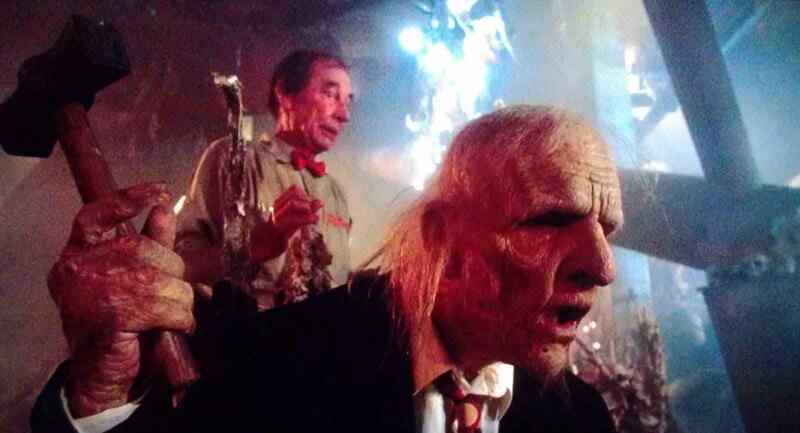 I know, I know, it’s hard at first glance to see what’s so patriotic about The Texas Chainsaw Massacre 2. But it’s a movie very much about America in the mid-eighties. Reagan’s America. Tobe Hooper decided to pick up with his group of maniacs over a decade later to show that the cannibals were benefitting from the state the country was in at that time. The Sawyers are a bunch of proud patriots. They’ve moved out of the farmhouse and struck capitalistic success. They’re living the American dream. I Know What You Did Last Summer is as close as we’ve ever come to a sinister slasher movie titled Fourth of July. Like My Bloody Valentine, Halloween and others, it uses the date as the day of an inciting incident and tragic backstory, then picks up on the Anniversary. It might be oozing with 90’s look, music and cast, but I Know What You Did Last Summer is certainly an 80’s movie at its core. One that makes for required holiday viewing. This second season Masters of Horror piece details the story of a family that moves into a home with a dark secret. Unlike most movies of that nature, this affects not only the family inside the home but the entire nation. They uncover evidence that’s been hidden away and kept in secret for generations, evidence that George Washington was a cannibal. Naturally, they draw the attention of a secret society of powdered wig wearing flesh-eaters who wish to make sure the secret stays kept. 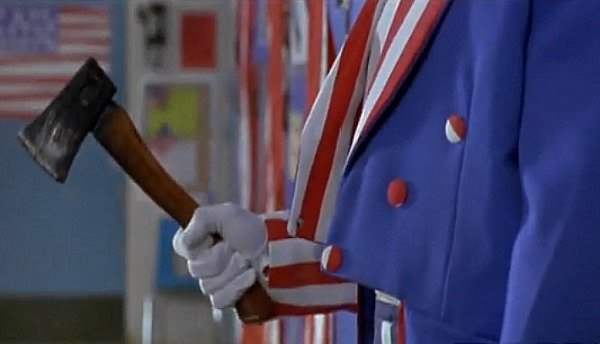 Like Jack Frost, Uncle Sam was a no-budget horror movie with a ridiculous premise made just because they could. The difference here is that the two people behind it happen to be mad geniuses. While it’s not the smartest or most successful from either of them, it really doesn’t hurt to have William Lustig—director of both Maniac and Maniac Cop—and Larry Cohen—writer/director of It’s Alive and The Stuff—at the wheel. Jaws, of course, is the big one. 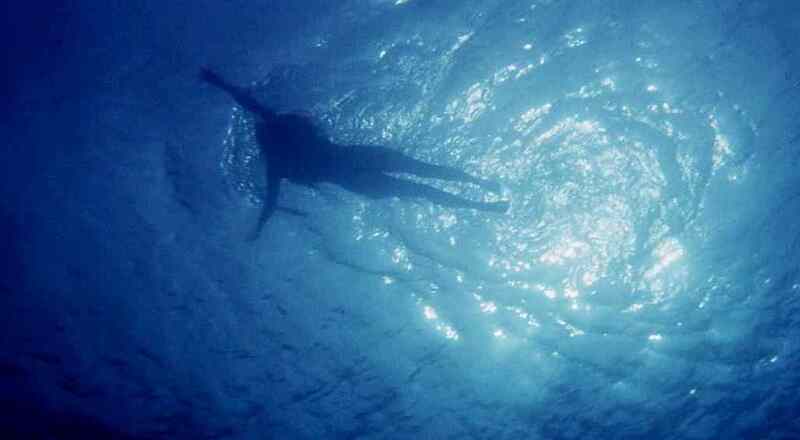 It’s the ultimate shark movie, one of the biggest and most influential horror films of all time, and the first title that comes to mind when thinking of horror on the Fourth of July. It’s a summer feature about summer people and a small beach community that will do anything to have the perfect Independence Day weekend. With expectedly disastrous results. Even if you don’t binge, even if you only watch one this holiday, it has to be Jaws. Check out this Clip from The Pyramid in Advance of the Film’s Release!